Mankind has often known to be selfish and this blame on mankind sometimes seem to be quite accurate and apt. You can easily find people out of the crowd who have never bothered in all their lives to give a second of thought for the welfare of others. And how can you expect them to give a damn about the wildlife around them when they cannot even care about their fellow human beings? But to overcome the flaws of humans living separately; there is the government system in every part of the world who watches over the doings of the people in their area. National Parks are the innovation of such government entities in association with the efforts of some exceptional people. This is a rather small sized National Park constituting an area of only 7.5 km2. This protected area is located in the Idukki district of the Kerala State. Administered and managed by the Kerala Department of Forests and Wildlife and Munnar Wildlife Division; this national park is also considered by UNESCO World Heritage Committee to be named as the World Heritage Site. Draft of this national park was released in 2003 on 21st of November and an important thing about it is that it is also surrounded by various other national parks and sanctuaries to its nearby area. Situated on the border of the Goa state; this tiger reserve is actually located in the Uttara Kannada district of Karnataka. Various forms of fauna are found here with Indian elephants, Bengal tigers and black panthers amongst the majors. It is a large tiger reserve that is spread in a vast area of about 1300 km2 and kali river as the main support system for the reserve thus justifying the name. However the tiger reserve was renamed from Anshi to Kali only in the December month of 2015. If we have to talk about the diversity of the fauna in this national park let us just say that this national park is spread from 200 m below sea level to 800 m above sea level and is located in the distant south of Garo hills of the state Meghalaya . Also known as the “land of spirits”; most common habitants of the national park include wild water buffalo, red panda, eight species of cat including special golden cat and marbled cat, elephants, barking deer and a large variety of mammals and reptiles along with some medicinal plants in the vast area of 220 km2. In the year 1968; this was declared as a national park located in the Umaria district of Madhya Pradesh, with an area of 105 km2 which has now spread to 437 km2 .The national park is known to be having one of the highest populations of tigers in India with a large biodiversity including 1336 species of endemic plants. The national park is also famous for having white tigers where the first white tiger in the area was captured first by Maharaja Martand Singh of Rewa and that white tiger named Mohan is still stuffed and is in the display of the palace of Maharaja. This is yet another Tiger reserve that has been set up under the Project Tiger started in India. This is now known as the tiger reserve but earlier it was the private hunting reserve for the Maharaja of Mysore kingdom. The park has its boundaries in the vast area of 874 km2 and is a part of the Nilgiri Biosphere Reserve. Being the largest habitants of wild elephants in South Asia; it is also the largest protected area in the Southern India. Dominated by dry deciduous forests; the tiger reserve is also known to be having a large variety of biomes. This national park is situated near Bangalore and was established in year 1974 and even after the separation of a portion of the park in 2002 as a biological reserve; it also combines a pet corner, a zoo, a snake house, a butterfly enclosure, an aquarium, and an animal rescue centre. The governing entity of the park is Ministry of Environments and Forests which act under the Government of India. The main constituents of the flora in the park are neem, Santalum Album, Eucalyptus, Sandalwood etc while the fauna include elephants, sloth bear, monitor lizard, cobras, leopard, chital etc. Even though it was established in the year 1975; it was designated as the national park in 1998. This is situated in the Kendrapara district of Odisha and is spread over an area of 672 km2 and is a known rich biodiversity owing to its location. Bhitarkanika which is the second largest mangrove ecosystem in India is inundated by a number of rivers including Pathsala, Brahmani, Dharma, Baitarni and others. It is the home of the endangered species of saltwater crocodile, Indian Python, Darters, White Crocodile, King Cobra, Black ibis along with many other species of flora and fauna. This national park is situated in the Tripura state of India and was established in the year 2007. It is also known as the Rajbari National park and as is clear by its other name; serves as the protecting space for the endangered species of Bison. The national park is spread in the area of 31.63 km2. 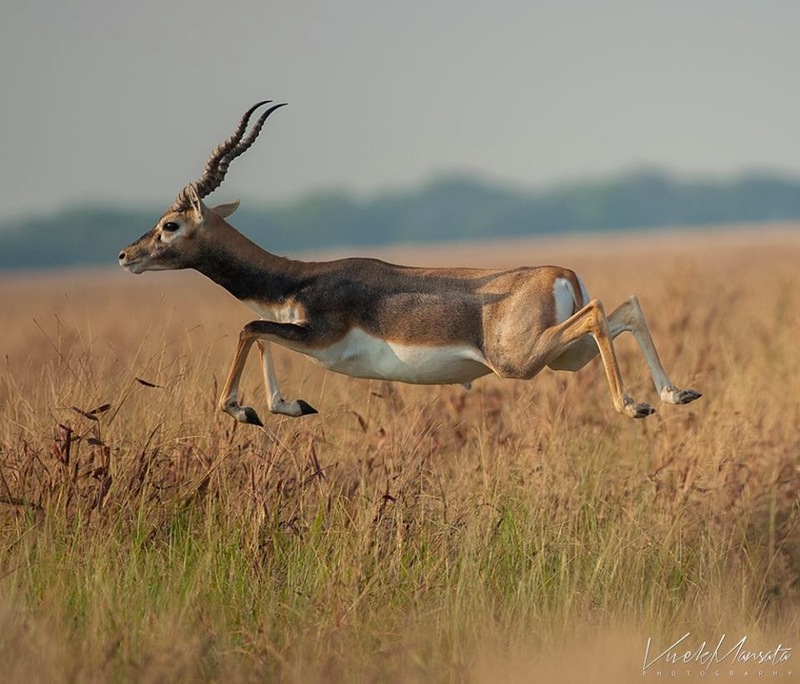 Blackbuck is kind of a sacred animal in some parts of India and this national park is dominated by its presence. The park was established in the year 1976 and is in the Bhavnagar district of Gujarat and is governed by the Forest Department of Gujarat. Major tourist attractions are herds of antelope, striped hyenas, local wolves etc. Area covered by this national park is 34.08 km2. As is clear by the name; this is a tiger reserve and is located near the Alipurduar district of West Bengal. It is actually located inside the Buxa National park and it derived its name from the Buxa hills of the Bhutan where it is situated. Other than the tigers, elephant, pig, red jungle fowl, civet etc are also found in the national park. This national park is located on the Great Nicobar Island which is actually the largest of the Nicobar Islands that is in the eastern part of Indian Ocean and approximately 190 km from the north of Sumatra. It serves as a part of the Great Nicobar Biosphere reserve. It covers an area of 426 km2 and with the help of a 12 km wide forest buffer zone; this is separated by the Galathea national park. This national park lies in the Sangli district of the Maharashtra state and its designation as wildlife sanctuary was made in 1985 while the declaration of national park was done in the May month of 2004. Other wildlife reservoirs near it are Sahaydri Tiger reserve in the south and Koyna wildlife sanctuary in the north. It is governed by the Maharashtra state Forest Department and consists of a rich variety of fauna with 23 species of mammals, 20 species of reptiles and amphibians and 122 species of birds. Clearly visible animals in the park include sloth bears, Indian Bison, Indian Giant squirrels, Indian Leopards, leopard cats, Bengal tigers etc. according to various census taken out in different years suggest the increase in the population of the animals. This is yet another national park in the state of Tripura and as the name suggest leopard has been the dominant animal that is found here. 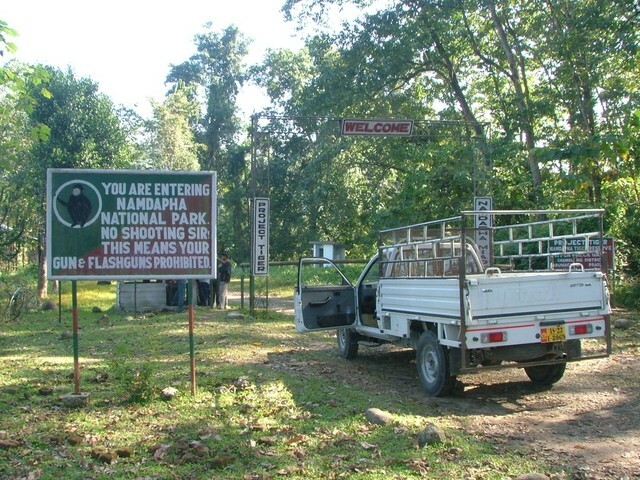 This national park has been spread in the area of 1.08 km2 and is governed by the Tripura Forest Development and Plantation Corporation Limited. This national park is located in the J&K at a location that is 22 kms from Srinagar and it covers an area of 141 km2. Formed in the year 1981; it is said that this national park is named after the 10 villages that were relocated for the very formation of this national park. Its history goes way back in 1910 as at first it was owned by the Maharaja of J&K and after that it fell in the laps of various government authorities. It is regarded as the only area where one can find the Kashmiri Stag while the other animals found here are Himalayan serow, leopard cat, Himalayan brown bear, musk deer, Himalayan black bear, Himalayan weasel, yellow throated marten, long tailed marmot etc. This National park is located near the Jaisalmer town of Rajasthan and covers a vast area of 3162 km2 that makes it one of the largest national parks. Sand dunes here are major components since they form 20% of the park while other land compositions being compact salt lake bottoms, fixed dunes, craggy rocks and intermedial areas. Mostly found birds and animals in the park include eagles, falcons, harriers, vultures, kestrels, buzzards, spotted eagles etc. It is also known to be the home for the endangered species of great Indian Bustards and is known to be the place where some fossils of dinosaurs that may date back to at least 6 million year are found. This Park is situated in the Tinsukia region of Assam and also serves as a biosphere reserve. Its biological and geographical conditions make it a heaven for many of the endangered species. The park at its boundaries has Brahmaputra and Lohit rivers in the North and Dibru River in the south; thus enriching it with a large variety of fishes. It is spread in the area of 350 km2 and is home to some of the rarest species like white winged wood duck, capped langur, black breasted parrotbill, water buffalos etc. other commonly found animals include royal Bengal tiger, clouded leopard, sloth bear, dhole, hoolock gibbon, Chinese pangolin etc. As is clear by its name; this national park got its name from the fossils that were found in Dhar district of the Madhya Pradesh and were diagnosed as those of dinosaurs. Spread in the area of 0.897 km2; it was founded in the year 2010. 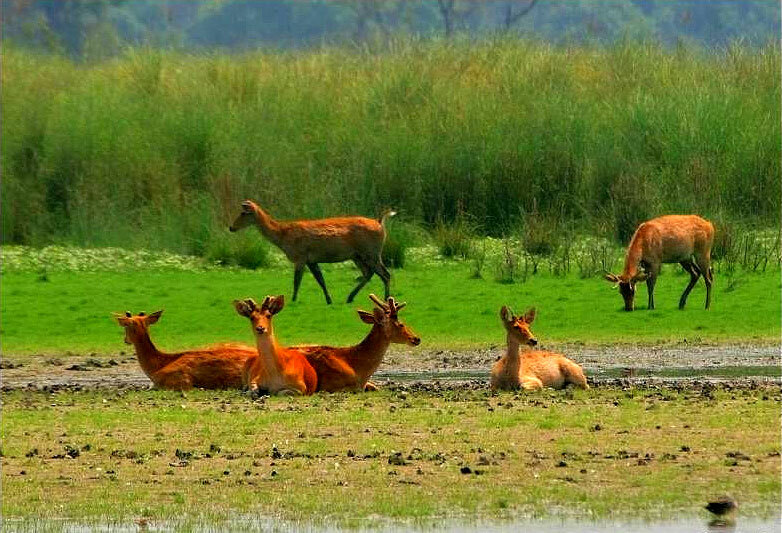 Dudhwa National Park is one of the most famous national parks in India and is situated near the Terai region of Uttar Pradesh, on the Indo- Nepal border in the Lakhimpur Kheri district. It is famous since it offers a great example for the Terai ecosystem that is regarded as highly productive and diverse. It also consists of endangered species like hog deer, tigers, Indian rhinoceros, hispid hare, fishing cat etc. Though tigers and swamp deers are the major tourist attractions; but barasinghas are present here in abundance and it is also said that half of the world’s barasinghas are found here only. Established in the year 1977 as the National Park; it is spread in the area of 490.3 km2. This is also the first national park in Kerala and is situated in the Idukki district along the Western Ghats. It is governed by the Kerala Department of Forests and Wildlife along with other nearby parks and sanctuaries and it is also a UNESCO World Heritage Site. The park boasts of the highest population of the Nilgiri tahr and along with it there are 26 species of mammals found here. Major animals that are found here are golden jackals, wild dog dhole, tiger, leopard, ruddy mongoose, Indian porcupine, elephants etc. The area of this park is around 97 km2. This National Park is located at a distance of 12 km forest buffer zone from the Campbell bay National Park and is located on the Great Nicobar islands that lie in the eastern Indian Ocean or Bay of Bengal to be precise. It covers an area of about 110 km2 and is a part of the Great Nicobar Biosphere Reserve. Thanks to its geographical isolation; many endangered species find their home here. This national park has incredible beauty of coniferous forests and a splendor of glacial world together with lush green meadows. The park gets most of its tourism in the months from April to October and its nearest city is Uttarkashi. The park boasts of a total of 150 species of birds and 15 species of mammals including the very rare snow leopard. Other main attractions being black bear, musk deer, brown bear, blue sheep, Koklass, Himalayan snowcock, Himalayan Monal, Himalayan Tahr etc. the park is spread in a total area of 2390 km2 and is governed by the Forest Department of Uttarakhand Government. The conservation plans for the lions in this area dates back to 1900 when the Nawab of Junagarh declared it as a protected area owing to the declining population of lions in the area. And as a result of the combined efforts of the wildlife activists, NGOs and the concerned government entities; the population of lions in the area has see quite the hike over the years. Along with the conservation of lions; the national park also hosts of about 400 species of plants owing to abundant water supply of its seven major perennial rivers. The forest is spread in the area of 1412 km2 , located in the Talala Gir at Gujarat and is governed by the Forest Department of Gujarat. Before it was declared as a national park; it was declared as a wildlife sanctuary in the year 1949 and is situated in the Terai region of Himalayan foothills. This medium sized park mainly consists of forests and grasslands. The park which has also won the declaration of being the best amongst the protected areas by the Ministry of Environment and Forests in 2009 is mostly known for its high population of Indian rhinoceros. The park is spread in an area of around 79.99 km2 and its main flora consists of Sal forests and Bamboo grooves. Other than that it also has 50 species of mammals including leopard, Bengal tigers, Indian wolves etc. Also the park flaunts 7 species of turtles, 194 species of birds, 27 species of fishes and 22 species of reptiles along with other major and minor fauna. This was named after the famous Indian freedom fighter Govind Ballabh Pant and was established in the year 1955 on 1st of March. Situated in the Uttarkashi district; its nearest city is Dharkadhi and lies in the highest reaches of Garhwal Himalayas. Common species of trees in here are yew, silver fir, blue pine and spruce from the conifers and oak, walnut, hazel, maple etc from the deciduous. 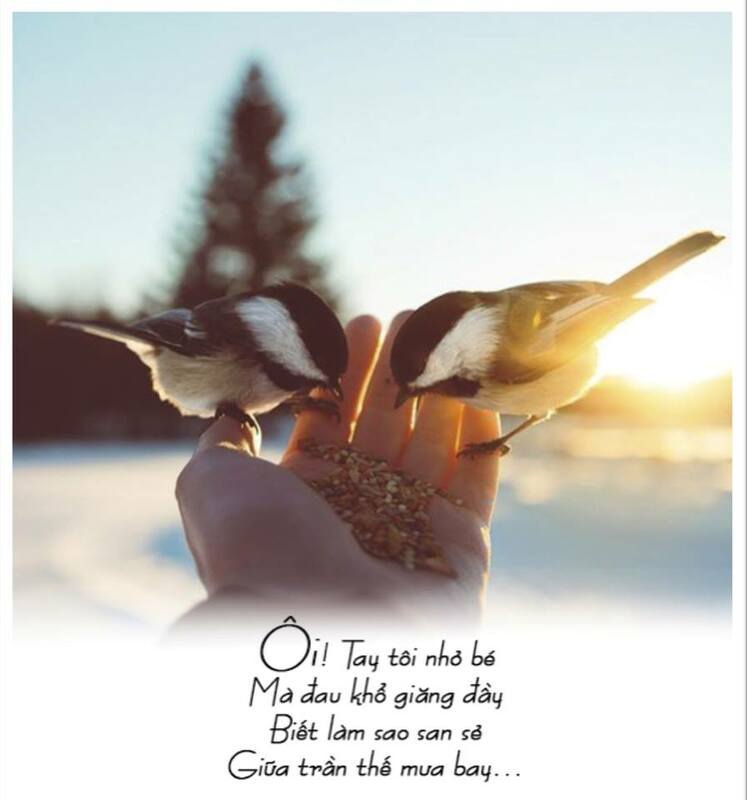 With 150 species of bird, 15 species of large sized mammals and 958 km2 area in total to offer; it’s a great tourist attraction with major rush in the months from May to October. 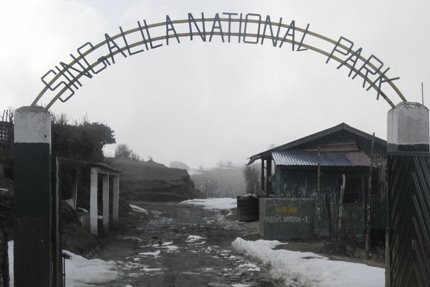 This national park is situated in the kullu region of the Himachal Pradesh and ranges with an altitude between 1500 to 6000 m. Consisting of numerous flora and 375 species of fauna; it is one of the prominent national parks of state and nation and thus has been also added to the list of UNESCO’s World Heritage site. Spread in the area of 1171 km2, it consists of species of 11 annelids, 127 insects, 9 amphibians, 17 mollusks, 3 reptiles, 181 birds and 31 species of mammals. It is constituted by the glacial, temperate, alpine, and sub tropical forests. Covering an area of about 1673.93 km2; it is located in the Chikhaldara and Dharni Teshsils of Amravati district. 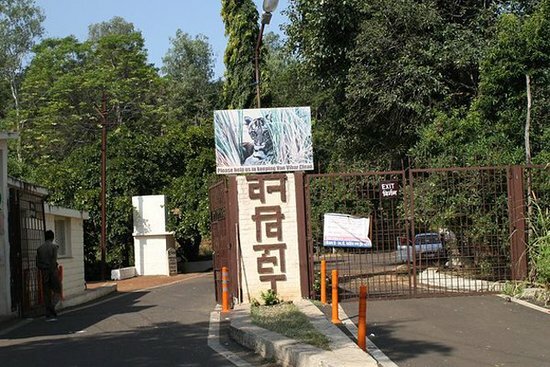 Part of Melghat Tiger Reserve; it includes Tiwas, Ain, Lenda, Kusum and bamboo trees; the area is also known to be abundant in medicinal plants. Major fauna include wild dog, panther, tiger, sloth bear, jackal, hyena, barking deer, flying squirrel etc. the notable thing about it is that it is the 8th smallest national park in India and also is one of the very few national parks that are located in the city. The total habit of the park are 2000 spotted deers, 400 blackbucks and 24 jackals along with a wide variety of snakes, tortoises, 14 species of mammals, 130 species of birds and 60 species of butterfly and spiders. Spread in the area of 2.70 km2; located at Chennai, the park receives minimal interference from the human beings and still it is said to attract about 700000 visitors every year. thing to be noted about this national park is that it consists of 21 small islands along with the adjacent coral reefs in the region of Gulf of Mannar of the Indian Ocean. Now the park has rich variety of flora and fauna that consists of numerous kinds of trees that also include 12 kind of sea grass and 147 types of seaweeds. Major kind of animals that live here include common dolphin, bottlenose dolphin, spinner dolphin, melon headed whale etc. 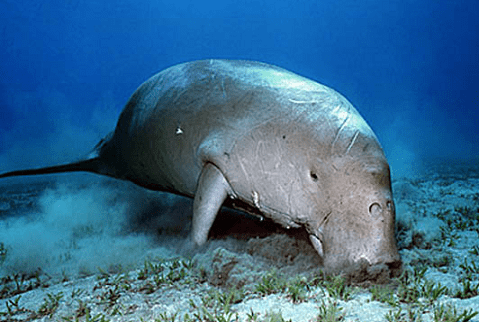 also it has dugong which is a vulnerable marine mammal. And all these species and flora are contained in an area of 560 km2. it is also known as the Sanjay national park and is located in the Sidhi district of Madhya Pradesh. Covering an area of 466.7 km2; this park is a part of Sanjay –Dubri Tiger Reserve. Talking about the flora of the park; it consists of the Sal forests mainly and the major components of fauna in the park are tiger, leopard, chinkara, sambar deer, Neelgai etc along with 309 species of birds. This national park is situated in the Leh district of the J&K and is known for being the best place to find the snow leopard (which is an endangered species) roaming in the wild. It is the largest national park of India and covers an area of 4400 km2. It is spread in an elevation range of 3000 to 6000 m. Tibetan wolf, Argali, shapu, bharal, Eurasian brown bear and mountain weasel etc. are found here in abundance. The nearest city to this national park is Hazaribagh and it is at a distance of about 135 km from Ranchi. Though tigers are rare to be seen here but their sightings are confirmed and so to be safe from these wild beasts; there are even towers inside the park that is used by the tourists to behold the beauty of this wilderness. Park is reachable easily through good roads and there are canteens inside it that are used to cater to the needs of the tourists. Most commonly seen animals are panthers, spotted bears, sambhars, tigers etc. And while we are talking about the flora of the park; there are grassy meadows and tropical forests inside it. This is yet another protected land for the conservation of the wildlife lying in the beautiful land of Himachal Pradesh. This national park was established in the year of 2010 when Prem Kumar Dhumal from the BJP was the CM of Himachal Pradesh. This national park is spread in the area of 104 km2. This national park is situated in the Coimbatore district of Tamil Nadu and is governed by the Tamil Nadu Forest Department. The park is named after the former late PM of India; Mrs. Indira Gandhi. This park is a home to various threatened species of mammals that include Bengal tiger, Dhole, Indian elephants, lion tailed macaque and Nilgiri Tahr. Other endangered species that are found here are Indian Pangolin, Indian leopard and Indian giant squirrels, Malabar spiny dormouse, rusty spotted cat etc. Other than all these there are also 250 species of birds, a lot of species of amphibians and reptiles and 315 species of butterflies are also found here. It derived its name from the Indravati River which flows from the east to west and forms the northern boundary of this reserve. 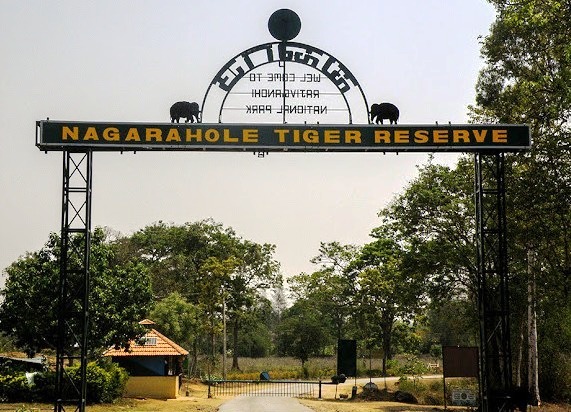 There are 2 Project Tiger sites in the Chattisgarh; this being one of them and is also home to the very rare and suspected last populations of the wild buffalo. Flora in the park consists of the tropical dry and deciduous type forests that have trees like sal, bamboo trees and teak. Nilgai, chausingha, gaur, blackbuck, sambar, tiger, leopards, sloth bears, dholes, striped hyenas etc. are found in majority in the area. This park runs under the governance of the Conservator of Forest and is spread in an area of about 1287 km2. This national park is situated in the Alipurduar district of the West Bengal and lies in the foothills of the Eastern Himalayas. One horned rhinoceros that is a species facing the threat of extinction is found here in the largest population. Tall elephant grasses and the savanna type of fauns are dominant here. And the main types of animals that are found here include, Indian elephant, Indian Leopards, barking deer, hog deer, bison, wild pigs etc. This national park was established in the year of 2012 and spread in the area of 216.3 km2. There are more than 100 national parks in India and this national park possesses the pride of being the oldest of them. It is also the first national park that came under the project tiger initiative and the idea of the diversity of this park can be estimated by the fact that it has 488 species of plants in it. It also serves as a house for 50 species of mammals, 25 species of reptiles, 580 species of birds, seven species of amphibians, 36 species of dragonflies, 7 species of fishes and 33 species of reptiles. Jungle cat, fishing cats and leopard cats are found in the park along with the Bengal tigers, sloth, hog deer, Himalayan black bears, chital, barking deer, owls, nightjars, langurs etc can be seen in the park. It is spread in the area of 520.8 km2 , located in Nainital district of Uttarakhand and various governing bodies including Project Tiger, Government of Uttarakhand, Wildlife Warden etc take care of its governance. This Park is situated 150 kms away from Chandigarh and lies in the district of Yamunanagar. Established in the year 2003; this national park is handled by the Haryana Forest Department. This park serves as a famous destination for bird watching and is a residence to the red jungle fowl. This dense forest like park is famous for its medicinal plants and is home to animals like porcupine, monkeys, wild boars, hares, chitals, sambhar etc. It is spread in an area of about 100.88 km2. It has the honor of being the largest national park in Madhya Pradesh and is also one of the tiger reserves in India. It is also the largest national park in Central India and is ranked amongst the top 10 tourist attractions. It is also said that the environment of this national park that includes majorly its beautiful flora like bamboo forests, grassy meadows etc, inspired Rudyard Kipling to write his famous creation The Jungle Book. Royal Bengal tiger, leopards, barasingha, Indian wild dog etc are the most commonly sighted animals in the park. It is spread in an area of 940 km2 and is governed by the Madhya Pradesh Forest Department. Situated in Jagdalpur of the Bastar region in MP; this national park is often regarded as the most beautiful and also the most dense national park owing to its large biodiversity of flora and fauna. Major animals that found home here are tiger, leopards, wild cat, sambar, mouse deer, barking deer, flying squirrel etc. It covers an area of 200 km2 and is governed by the Conservator of Forest. Situated in the jubilee hills of the Hyderabad; this national park is known as the jungle between the concrete jungle and is spread in an area of 1.6km2. At a very nominal fee; this national park is also available for the visits of adults as well as children. Mainly the park has peacocks as well as several other animals inside it. It is situated in the Golaghat and Nagaon districts of the Assam. It has been declared a World Heritage Site since it hosts two third of the world population of the great one horned rhinoceros. There are 2401 one horned rhinoceros in the park according to a census held in March of 2015. Its highest density of the tigers earned it the designation of a tiger reserve in the 2006. While talking about the flora of the park; there are tall elephant grasses, dense tropical moist broadleaf forests and marshland. Other major animals that are found here are leopard, tigers, elephants, wild boar, hog deer, Bengal Fox, golden jackal etc. it has also been declared as an important bird area by the bird life international as there are birds like lesser white fronted goose, ferruginous duck, lesser adjutant, black necked stork etc. It covers an area of 430 km2 and runs under the joint governance of the Government of Assam and Government of India. It is located in the Bishnupur district of Manipur and its nearest city being Moirang and Imphal. It was declared as a national park in 1977 on 28th of March. Being an integral part of Loktak Lake; there are variety of aquatic flora like Zizania Latifolia, sachharum munja, dioscorea bulbifera etc. Major animals that are found here include hog deer, large Indian civet, golden cat, fox, bamboo rat etc. Also there are numerous varieties of amphibians and reptiles. The park covers an area of about 40 km2 and is administered by the joint acts of Government of India and government of Manipur. It has various other names like earlier it was known by the name of Bharatpur Bird Sanctuary and now it is also known by the name of Keoladeo Ghana National Park. A World Heritage Site; this national park is mainly comprised of dry grasslands, woodland swamps, woodlands and wetlands. Flora in the park also consists of 379 floral species which makes it a sight to behold. Other than that there are 366 species of birds, 13 species of snakes, 7 species of amphibians, 50 species of fishes, 5 species of lizards, 7 species of turtles and numerous other to be mentioned. Covering an area of 29 km2; it is administered by the Rajasthan Tourism Development Corporation. 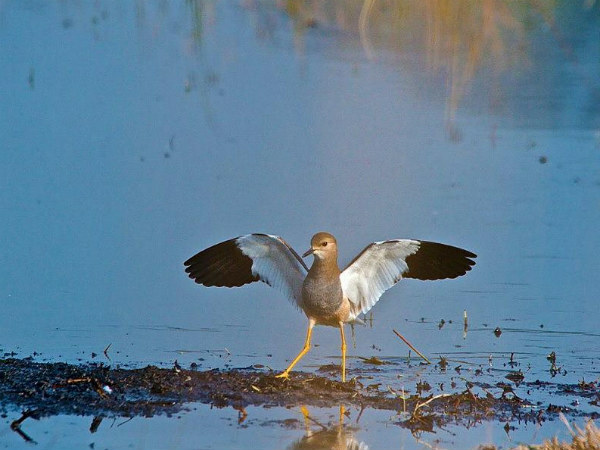 Often regarded by some as even one of the world’s best bird areas; it is a must visit if u are visiting in Rajasthan. 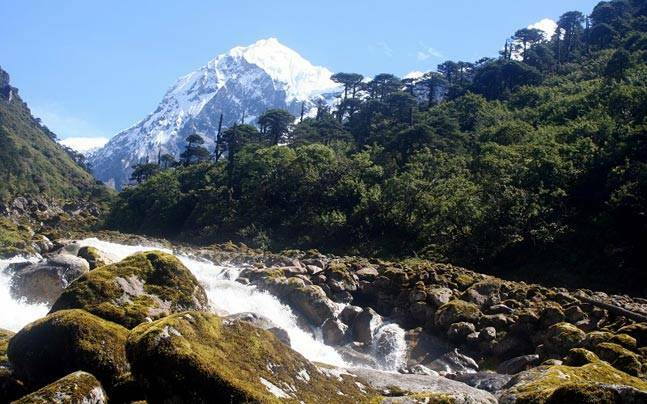 It is the only national park in the state of Sikkim and derives its name from the Kanchenjunga Mountain which is the third highest peak in the world. Located in the North Sikkim; the nearest city to it is Chungthang. Flora of the park include birch, oaks, maple, fir, willow etc and the major animals that are seen here include musk deer, Himalayan tahr, sloth bear, snow leopard, wild dog, Himalayan black bear, red panda and very rare Asiatic wild dog along with 550 species of birds. The park covers a total area of 1784 km2 and is governed by the Ministry of Environment and Forests from the Government of India. This is one of the national parks in the beautiful state of Himachal Pradesh and was established in the year 2010. It covers an area of about 710 km2 and is home to several species of animals. It is located in the Kishtwar district of J&K and hence the name. Its north is formed by the Rinnay River, Kibbar Nala catchment is at the South, Marwa River is at the west and the main divide of the Great Himalayas at the East. 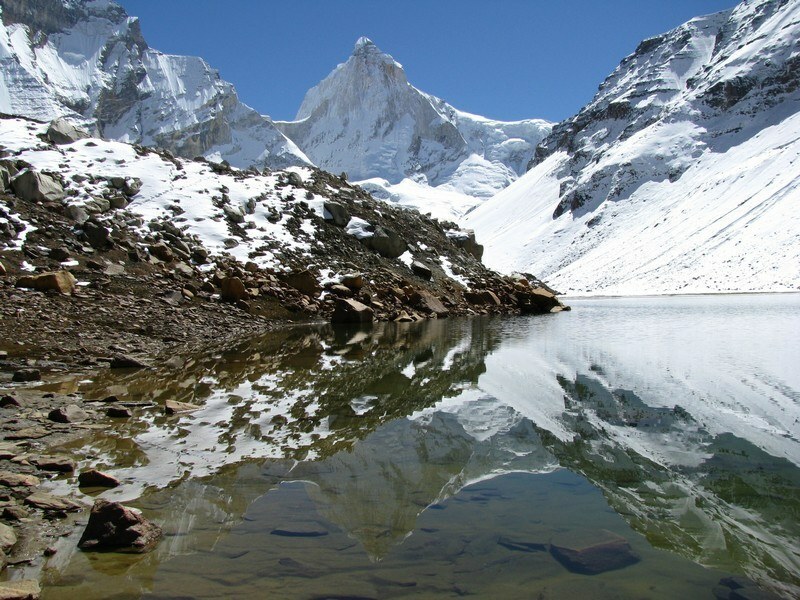 Altitude of the park ranges from 1700m to 4800 m and it receives average to minimal rainfall. The flora of the park mainly includes coniferous, meadows, scrub and alpine forests. The main constituents of the fauna in the area are brown bear, Musk Deer, Snow Leopard, Himalayan black bear, Wild boar etc. along with numerous species of birds. It covers an area of 400 km2. This national park shares its name with the small hill station in the state Karnataka which is also a mining town that is situated near the mountain. The literal meaning of Kudremukh is horse face and the highest part of this park is at a height of 1894 m; that makes it the third highest peak of the Karnataka. It is a home for a huge variety of bio diversity and covers an area of about 600.32 km2 and is situated in the Dakshin Kannada, Udupi District and Chikkamagaluru districts of the state. The nearest city to this park is Shivpuri which lies in the Gwalior region of MP. This park is named after the Madho Rao Scindia who was the former Maharaja belonging to the Scindia dynasty. The rich biodiversity of the park is reflected by its flora of flat grasslands and forested hills that are situated around the lake. 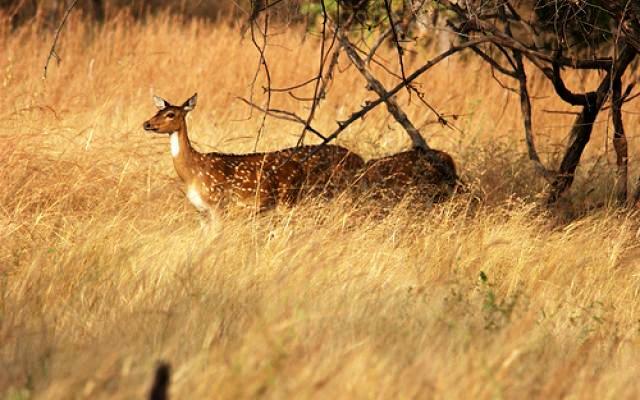 Deer is found here in majority along with chinkara, chital, nilgai, sambar, chausingha, sloth bear, leopard etc. Various birds that are found here include pochard, teal, pintail, migratory geese along with many others. It covers an area of 354 km2. The Park is made up of areas that are found in 15 islands and it also offers open sea creeks that are running through the area and there are high chances that there can be chances of developing marine tourism in the area. The flora of the park includes thick mangrove vegetation, sand covered beaches, sheet rocks and uprooted trees. It covers an area of about 281.5 km2, located near Wandoor at the Andaman Islands. This National Park is located in the Vanasthalipuram region of Hyderabad in Telangana. It is regarded as the highest green lung space in the city of Hyderabad. Flora of the park include dry deciduous forest that is mixed with grasslands, also sandalwood, redwood, amalthas etc. Other than these there are black buck, wild boar, porcupine, cheetal deer, alongwith 30 species of reptiles and 120 species of birds. It covers an area of 14.59 km2. It is also named as Manas Wildlife Sanctuary and is also a Project Tiger Reserve and an UNESCO World Heritage Site, A biosphere and an Elephant Reserve. Flora of the park includes mainly the semi -evergreen forests and the Himalayan Subtropical broadleaf forests together make it the one of the richest biodiversity in the world. 543 species of plants are found in core region and out of them 374 are dicotyledons, 30 are Pteridophytes and Gymnosperms and 139 species of monocotyledons. Park consists of 55 species of mammals, 50 species of reptiles, 380 species of birds and 3 amphibian species. 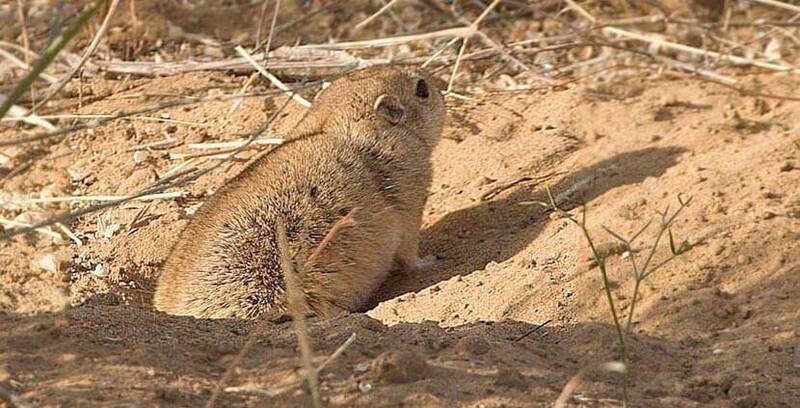 31 of these mammals belong to the endangered species. Major part of fauna being Indian Rhinoceros, Asian Water Buffalos, Indian Tigers, Indian Elephants and golden langurs etc. Nearest city to this national park is Barpeta road and it covers an area of 950 km2. The purpose of this national park is a bit different from other national parks in the aspect that it serves for conserving the fossils of the plants. It is said that the park has fossils of the plant that are believed to exist some 40 to 150 million years ago over the seven villages of the Mandla. Some notable works are done here like in the villages of Ghuguwa and Umaria; the standing or the petrified trunks of the trees found are specified as Gymnosperms and Angiosperms- Monocotyledons and palms. There are also speculations about whether the fossils belong to the Jurassic or the Cretaceous age. Though situated in the Gulf of Kutch; it is situated near the city of Jamnagar. It holds the record of being the first National Marine Park in India and a notable thing about it is that it has 42 reefs out of which most are surrounded by reefs. Obviously the fauna in the area is avifauna and 70 species of sponges are found in here. There are 52 species of corals out of which 42 species are hard corals and 10 are soft corals. Anthropods are also found here that include 27 species of prawns, crustaceans, lobster, 30 species of crabs and shrimps. Endangered species of fishes including sea horse, mudskippers, puffer fish, whale sharks and sting ray are also found here. Spread in an area of 162.89 km2; it is administered by the Forest Department of Gujarat. This national park is situated in the Poopara village of the Udambanchola taluk in the Idukki district of the Kerala with the nearest city as Munnar. The name of the park is derived from Tamil and its literal translation being mind confuser and that is because the local people say that one tends to forget his path once he enters in the forest. Elephants are the main occupants of this national park and it covers an area of 12.82 km2. The Park is situated at a distance of about 200 km from the capital of the islands that is Port Blair. It is surrounded by the neighboring islands named as North Button and South Button which also happen to be both National Parks. This national park also forms the part of Rani Jhansi Marine National Park that is situated off the Coast of South Andaman Island. Most of the flora in the park is moist deciduous forests that are surrounded by sandy beaches and clear water shallow seas. Bamboo and some other types of trees are also present. While talking about the fauna constituent; there are spotted deers, monitor lizards and water lizards. 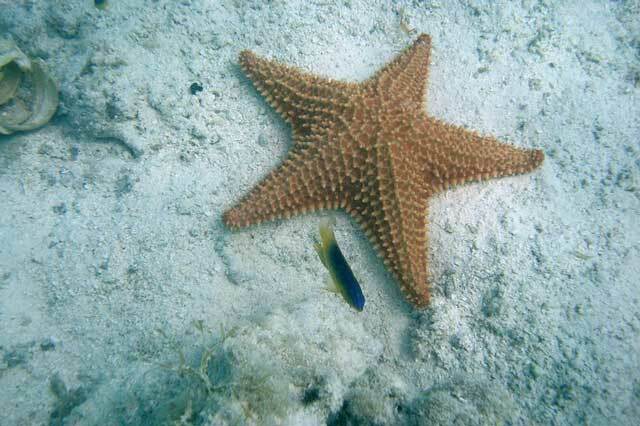 Marine fauna include dolphins, sea turtles and dugongs. It covers an area of about 64 km2. Also known by the name of Bhagwan Mahaveer Sanctuary and Mollem National Park; it is situated in the western Ghats of South India in Sanguem Taluk of Goa. It is also home to various famous temples from the Kadamba Dynasty and the very famous Dudhsagar falls is also in this national park. Flora of the park is composed of west coast semi evergreen forests, moist deciduous forests and west coast tropical evergreen forests. Also there are 722 species of flowering plants and if we talk about fauna composition there are Black Panther, Bengal tiger, common langur, leopard etc. along with numerous species of birds. The park covers an area of 107 km2 and the governing body for it is Goa Forest Department. This national park which is the second national park being created in the state Arunachal Pradesh; is spread in the districts of Upper Siang, East Siang and West Siang. 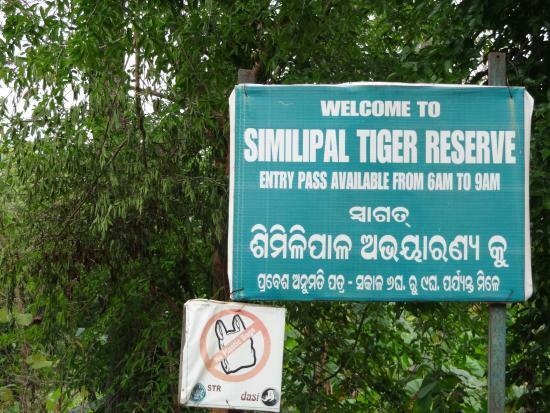 Named after the nearby situated Mouling peak; it is said to be a home of a number of poisonous species; other animals being Takin, Indian leopard, serow, Bengal Tiger, Barking Deer etc. It covers an area of 483 km2 and is governed by the Department of Environment and Forest of Arunachal Pradesh. It is located in the Aravalli range; which is the oldest mountain range of India. From sub tropical thorn forests to sub tropical evergreen forests; 112 plant families with 449 genera and 820 species all make it a rich flora environment. Lion and tiger were recorded here earlier while the present residents include leopard, hyaena, jackal, jungle cat, wolf, sambar etc. along with 250 species of birds. It covers an area of 288 km2 and is governed by the Ministry of Environment and Forests of the Government of India. Yet another national park in the Andaman and Nicobar Islands; its flora is comprised of littoral, tropical evergreen and the hilltop tropical evergreen along with 134 plant and tree species. 7 near threatened bird species along with other species of birds and major animals like cheetal, snakes, lizards etc are found here. It covers an area of about 46.62 km2. It is located in the Hyderabad city of the newly formed Telangana state and has a rich flora with about 600 species of plants along with animals like civet, Indian hare, Indian rat snake, forest cat etc. It covers an area of mere 3.60 km2 making it get listed in the small sized national parks of the country. It is one of those parks that were established before India got its freedom and this along with the Western Ghats Nilgiri Sub Cluster of 6000 km2 is under consideration of the UNESCO World Heritage Committee to become a World Heritage Site. Situated in the Nilgiri district; this is the home to many of the endangered species including Indian Leopard, Indian Elephant, Gaur, Bengal Tiger and endangered bird species like long billed vulture and white-rumped vulture. Also there are about 266 species of birds and as far as the flora of the park is considered; it is made of tropical moist deciduous forests, tropical dry deciduous forests and the southern tropical dry thorn forests. It covers an area of 321 km2 and is governed by the Tamil Nadu Forest Department. For visitors that are visiting the Ooty hill station; it is only at a distance of 67 km which makes it a must visit if you are there. 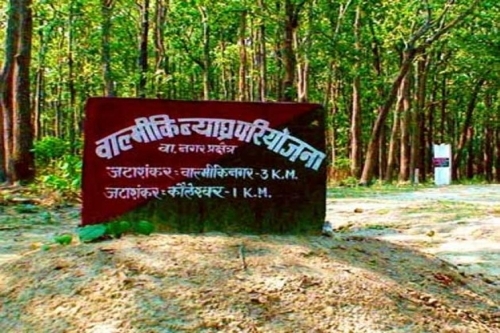 Take a look at the conflict that arose when the nomenclature of this national park had to be done; it was to be named Rajiv Gandhi National when BJP from state opposed its nomenclature and the decision had to be revoked. Situated near the Kota district; this park is comprised of 3 wildlife sanctuaries which are Darrah Wildlife Sanctuary, Chambal Wildlife Sanctuary and Jawahar Sagar Wildlife Sanctuary. It covers an area of 200.54 km2. 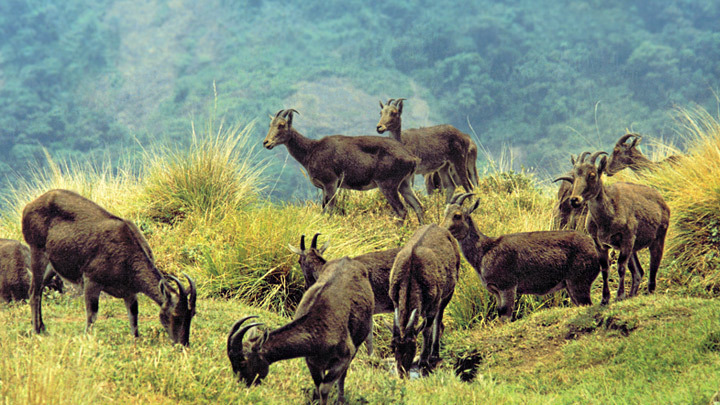 The main objective behind establishment of this park was to save the Nilgiri Tahr as it is located in the Nilgiris Plateau that is at the west of the Ootacumund hill station of the Tamil Nadu. Formerly known as the Nilgiri Tahr National Park; it is home to endangered species like Royal Bengal Tiger, Bonhote’s Mouse, Nilgir Marten, Nilgiri Langur and Asian Elephant. Other mammals that are found here include leopard, sambar deer, mouse deer, jungle cat, barking deer, otter, small Indian civet, soft fur rat etc. also there are numerous species of birds, snakes and butterflies. It covers an area of 78.46 km2. This national park is located near the Myanmar border in the Champhai district of Mizoram and this district is also home to the lengteng wildlife sanctuary. If we are to talk about the flora of the park then it is composed of tropical, sub montane and the semi-evergreen forests. Trees in here are even 350 years old and the forest is so dense that it is calculated that only 1% of the sun ray even at a sunny day can reach the land of the forest and thus it is also known as the ‘land of no return’ or ‘losing area of seven fellow man’. And if we are to talk about the fauna of the park; it includes; tiger, leopard, barking deer, Himalayan black bear, sambar etc. Murlen National Park covers an area of about 200 km2. Located in the Changlang district of Arunachal Pradesh; this is the largest protected area that is found in the Eastern Himalayan Biodiversity Hotspot. Flora of the park can be divided into 215 families, 1119 species and 639 genera. Major mammals that are found in the area are leopards, tigers, dholes, wolves, red panda, Asiatic black bears, marbled cat etc. It is believed that there are more species of birds in the park than the 425 species that are already registered. Also there are large species of butterflies and moths. Located in the Sonitpur district of Assam; the nearest city to this park is Tezpur. Flora of the park is composed of semi evergreen, and moist deciduous forests that are mainly made of trees like bamboo and cane. 600 species of plants and trees are found here. Major animals that are found here are clouded leopard, gaur, leopard cat, wild boar, Himalayan black bear, sloth bear, Indian giant squirrel etc. It is also regarded as a birdwatcher’s paradise and that is due to birds like white winged wood duck, wreathed hornbill, black stork, great pied hornbill etc. The area covered by this is 200 km2 and is governed by Ministry of Environment and Forests of the Government of India. This national park is situated at the peak of Nanda Devi and hence the name. 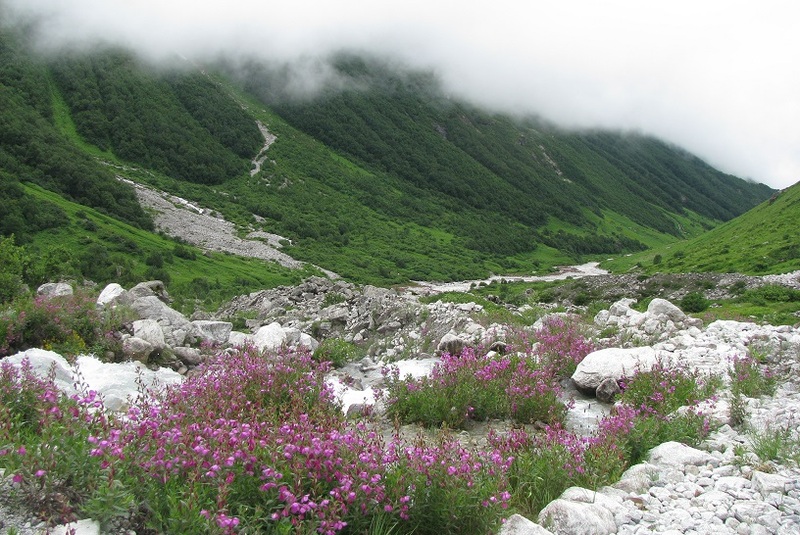 It is a part of the Nanda Devi Biosphere Reserve along with Valley of Flowers national park. Fir, rhododendron, juniper and birch are the main flora along with the 312 flower species and 17 rare species. Main animals that are found here are Himalayan tahr, Himalayan musk deer, gorals and mainland serow. Also there are 114 species of birds are found in the park that covers the area of 630.33 km2. It is located in the Gondia district of the Vidarbh region and it is possible to get a look at the park from a height with the help of a watch tower that is surrounded by a deer park. Also the unique experience one can have in the park is that if he decides to go on a jungle safari or stays in a tree top house and rides a sail boat in the lake. The park covers an area of 133.88 km2. It is located in the Darjeeling district of the West Bengal that is a tourist attraction in itself and the nearest city to it is Kalimpong. It consists of sub tropical, tropical, sub temperate and temperate vegetative systems in its flora and the major animals that are found here are sloth bear, civet, wild boar, golden cat, goral etc. Major types of birds are golden throated barbet, black faced warbler, fire tailed sunbird, marron becked accentor etc. and it covers an area of 88 km2. it is located in the Western Garo Hills district of Meghalaya and the nearest cities to it are Willim Nagar and Tura. Park is famous for its population of Asian elephants and Red Panda and it covers an area of 47.48 km2. This national park that is situated in the Andaman district of the Andaman and Nicobar islands of India is home to creatures like dugong and dolphin. Its nearest town is Long Island and that is situated 60 km away and the nearest airport of Port Blair is 200 km away from it. For those who plan to visit this national park; the best months to visit it are from December to March and the fauna that are found here in majority are water monitor, lizard etc. The area that it covers is 0.44 km2. This national park is situated in the Peren district of Nagaland and the first proposal for its creation was made in the year 1920 by the then Deputy Commissioner of Naga hills whose name was J.H. Hutton. There have been several land encroaching issues that are related to this national park. It is the only existing national park in the state of Mizoram and its name has been derived from the Zeme dialect of the Zeliangrong tribe. The major fauna that is found in here are black stork, hoolock gibbon, palm civets, golden langurs, tiger, hornbills, monitor lizard, sloth bear, python and white breasted kingfisher. The area covered by this national park is 202.02 km2. This national park is situated in the religious city of Omkareshwar and it was established in the year 2004. The land area covered by it is 293.56 km2. This national park is situated in the Sonitpur and the Darrang district of Assam and nearest to the Tezpur district. Though established and declared a national park in 1999; it was already present as a sanctuary since 1985. Owing to its similarity in the landscape pattern including grasslands, streams and marshes to that of the Kaziranga national park; it is also known as the Mini Kaziranga national park. It is also regarded as the only existing stronghold of one horned rhinoceros in the Northern bank of the Brahmaputra River. Rich vegetation of non aquatic grass/plants, forests and natural forests are found in it as its fauna. Mammals like Asiatic elephant, wild boar, hog deer, blind Gangetic dolphin and pygmy hog etc and 50 species of fishes with numerous species of reptiles and 222 species of birds find their home in this park. The park covers an area of 78.81 km2 and is administered under the joint efforts of Government of India and Government of Assam. It holds the record for being the smallest national park in the state of Kerala and it adjoins the Allinagaram Reserved Forest in the proposed Palani Hills Wildlife Sanctuary and National Park. It is under consideration by the UNESCO World Heritage Committee to be named as a World Heritage Site. Its literal meaning is a place where snakes tend to dance. A moderate amount of monatne evergreen shola forests are present inside it and there are also various medicinal plants that grow here. Other than it after the range of the forests; there are Eucalyptus trees that offer dangers of dehydration of the land and its own quick spreading tendencies. The endangered species that find their home here are leopards, Indian wild dogs, and Nilgiri marten along with tigers, Nilgiri langurs and buffaloes gaur. It covers an area of 1.32 km2 and is governed by the Kerala Department of Forests and Wildlife. This national park is located in the Panna and Chattarpur districts of Madhya Pradesh and hence the name. It became the 22nd Tiger Reserve of India in 1994 and 5th in MP. In 2007; it got the award for being the best maintained national park of the country. The park sees the ending of the tropical and sub tropical dry broadleaf forests belt and also the beginning of the Upper Gangetic plains moist deciduous forests. Now if we talk about the fauna of the park; there are tigers, chital, nilgai, leopard, chinkara, sloth bear and sambhar. Also there are more than 200 species of birds that are also finding their residence in here. It covers an area of about 542.67 km2 and the government entities that are behind its administration are Government of India, Ministry of Environment and Forests, Project Tiger and Madhya Pradesh Government. This national park is located in the East Godavari and the West Godavari districts of Andhra Pradesh and also along the Khammam district of Telangana. The fauna of the park include spotted deer, tiger, sambar, leopard, bison etc. Now believed to be extinct; there were also wild water buffalos in the park that were seen till 1980. It covers an area of 1012.86 km2. 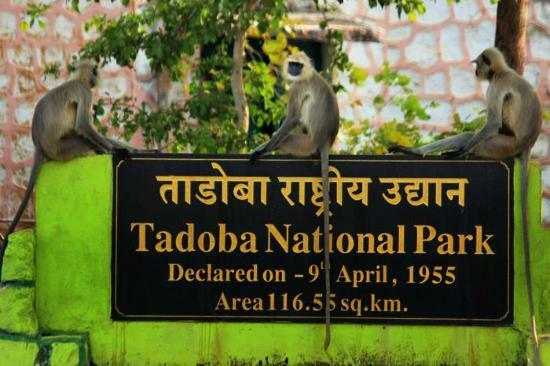 It is yet another national park that is situated in the Seoni and Chhindwara districts of MP. Pench River that flows through the park dividing it into equal eastern and western halves is the reason of its nomenclature. Teak, saja, lendia, dhaora, bijaysal, haldu, aonla, amaltas and salai are the major constituents of the forest that is prevalent in the area. 40 tigers, 39 other species of mammals, 3 species of amphibians and 13 species of reptiles are also present here. It covers an area of 758 km2. It is located in the Idukki and Kottayam district of Kerala and is named after the Periyar River. Tropical evergreen and moist deciduous forests are the forests that form this park and it consists of 35 species of mammals and 265 species of birds. It covers an area of 305 km2 and is governed by the Kerala Forest Department. 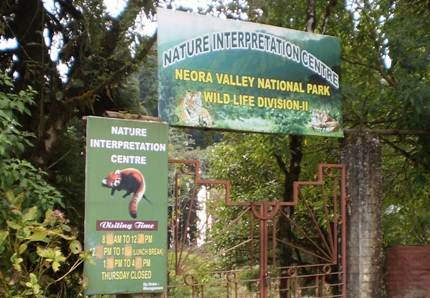 It is the smaller one of the 2 national parks that are in Mizoram and is situated at a distance of 300 km from Aizawl. Hume’s pheasant, falcon, sunbirds, black eagle and other bird species along with others are found here. It covers an area of 50 km2 and is governed by the Department of Environment and Forests and Government of Mizoram. This national park is situated in the far Northern India in the districts of Lahaul and Spiti. The ecology of the national park is snow laden and thus it gets appropriate for the conservation of endangered species like snow leopard and Siberian Ibex. Owing to the extreme temperatures and high altitude; the density of the vegetation is sparse and is composed mainly of alpine trees. The fauna of the park is composed of chukar partridge, snowfinch, Himalayan snowcock, and snowfish. Also there are various medicinal plants in the park that are situated in the alpine habitats of the park. Aconitum rotundifolium, Arnebia euchroma, Ephedra gerardiana, Ferula jaeschkeana, Hyoscymus are the various threatened medicinal plants that are found here. Including all the above mentioned there are 22 endangered and rare species of medicinal plants that are found in the park. It covers an area of 807.36 km2. This national park which is also a tiger reserve encompasses the Shivaliks and is situated near the foothills of Himalaya. It is spread in the 3 districts namely Pauri Garhwal, Haridwar and Dehradun. The park is named after the second and also the last Governor General of Independent India; C. Rajagopalachari. He was also an important participant of the freedom fights of India and also received Bharat Ratna. It very recently in the April month of the last year became the second tiger reserve of the state. Deciduous forests, scrubland, pine forests, riverine vegetations and grasslands are the main constituents of the flora of the park with various types of trees present in it. The major animals that constitute the fauna of the park include tiger, elephants, leopards, goral, chital, hog deer, sambar, nilgai, barking deer, sloth bear etc. along with about 315 species of birds. It covers an area of 820 km2 and is governed by the Principal Chief Conservator of Forests in Uttarakhand. This is a vast National Park and is spread in the areas of the Kodagu and the Mysore district of Karnataka state. The park which is also a part of the Nilgiri Biosphere Reserve was also declared as a tiger reserve in the year 1999. It is also under the consideration of the UNESCO World Heritage Committee for getting declared as the World Heritage Site. Moist deciduous forests comprised of teak and rosewood mainly and dry deciduous forests along with trees of oak and sandalwood makes the flora of the national park. Various constituents of fauna include animals like Bengal Tiger, Sloth Bear, Indian Leopard, striped hyena, ussuri dhole, four horned antelope, sambar deer, gaur, barking deer, Indian elephant etc. Also there are more than 270 species of birds along with various species of reptiles and insects. Covering an area of 642.39 km2; this is governed by the Karnataka Forest Department. This national park was created in 2005 in the state of Andhra Pradesh. It covers an area of 2.40km2. This national park or we should aptly say Marine national park is situated in the Andaman and Nicobar islands. The Andaman and Nicobar islands are situated in the Bay of Bengal. This name for the national park is their own way of recalling and showing respect towards the great Indian freedom fighter; Rani Lakshmi Bai. This park was established in the year 1996. It covers an area of 256.14 km2. Situated in the Sawai Madhopur district of Rajasthan; this is one of the largest national parks of the Northern India. It situated at a distance of 110 kms from Kota and 160 kms from Jaipur. 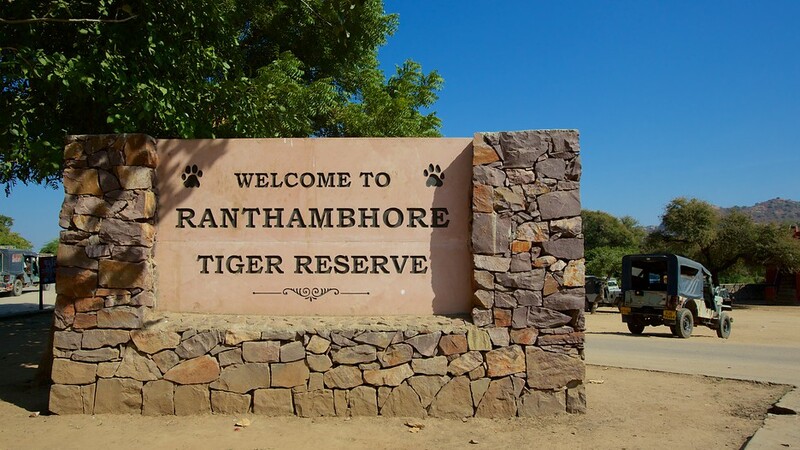 This national park is named after the historic Ranthambhore fortress. Its history goes way back to 1955 when it was first declared as the Sawai Madhopur game sanctuary. Flora of the park consists of a number of trees in which the largest banyan trees in India are quite famous. Fauna of the park is made by animals like tiger, nilgai, leopard, hyena, wild boar, sloth bear, sambhar, chetal, southern plain grey langurs and the rhesus macaque. It is also home to numerous species of birds and reptiles. It covers an area of about 392 km2 and is government by the Government of India, Ministry of Environment and Forests and the Project Tiger. Having a typically oceanic climate with temperature ranging from 20-30 degree Celsius; this park receives rain mostly in the months from June to October. Various animals that make up to the wildlife of this park are Andaman wild pig, dolphins, Andaman imperial pigeon, Andaman hill myna, softwater crocodiles and whales. Moist, tropical vegetation and the deciduous evergreen forests make up the flora of the park. It covers an area of 85.47 km2. This national park is situated in the Srinagar district of Jammu and Kashmir. The park was named to show respect and homage to the famous Indian Ornithologist Salim Ali. The various animals that found their home here included Himalayan Black bear, hangul, leopard, musk deer, Himalayan Serow and over 70 species of birds. It covers an area of 9.07 km2. It is located in the Sidhi and the Singrauli districts of MP. This national park is part of Sanjay-Dubri Tiger Reserve and the flora of the park is mainly composed of sal forests. 309 species of birds with animals like leopard, tiger, sambar deer, neelgai, spotted deer, wild boar, civet, chinkara, monitor lizard, porcupine along with others complete this national park with their presence. It covers an area of about 466.657 km2. Situated in the Mumbai city; which is the most populous city of India, it is one of the most visited national parks in the world. In fact it attracts more than 2 million visitors every year and is home to more than 1000 species of plants making it a rich flora national park. Chital, bonnet macaque, Indian hare, Asian palm civet etc and 172 species of butterflies with numerous varieties of birds and reptiles are also found here. it covers an area of about 104 km2 and governed by the Ministry of Environment and Forests. This national park is situated in the Alwar district of Rajasthan state. Park is situated at a distance of 200 km from Delhi, 107 km from Jaipur 106 km from Hindaun. Various religious places that are situated near the park are Bhartrihari temple, Pandupol HANUMANJI temple and Jain tirth in Paranagar Sariska park. The flora of the park is made of sub thorn arid forests, dry deciduous forests, hilly cliffs, rocky landscapes, grasses and rocks. Also as the area is a part of the Aravali Range; it is rich in the mineral reserve and despite of the ban by Supreme Court for mining; there are reports of illegal mining in the area. Various animals that make the fauna of the park are Bengal Tiger, Indian leopard, caracal striped hyena, four-horned antelope, hare, Indian jackal, and birds like crested serpent eagle, white throated kingfisher, grey patridge, Indian eagle-owl etc. It is the first tiger reserve of the world that got succeeded in relocating the tigers. It covers an area of 282 km2 and is governed by various governing entities like Project Tiger, Government of Rajasthan, Sariska National Park and Wildlife Warden. The Park is located in the Hoshangabad district with Pachmarhi as the nearest city. It got its name from the Satpura range. Dhoopgarh peak in the area is the highest peak with the height of 1350 m. flora of the park is mainly composed of Sal, Teak, Phyllanthus Emblica, bamboo, mahua, bel, medicinal plants, grasses, tendu etc. The main animals constituting the park are sambar, leopard, nilgai, four horned antelope,wild boar, black buck, chinkara, flying squirrel, fox etc. There are also numerous varieties of birds that are found here and the park covers an area of 524 km2. This Park is located in the Nilgiri hills and is the largest national park of Kerala. It lies in the Palakkad district and the region is also said to be the setting for the Mahabharatha that is an Indian epic. 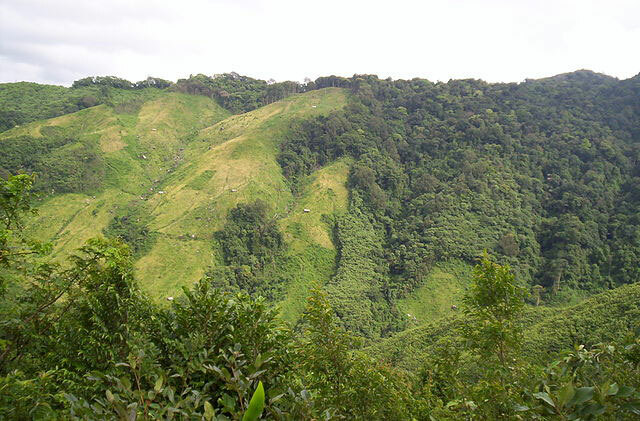 The core of the International Nilgiri biosphere reserve, it has also been recognized as the UNESCO World Heritage Site in 2007. Tropical and subtropical moist broadleaf forests, montane rain forests, shoals, open grassland along with several threatened plant species make up for the flora of the park. Its fauna is made of 138 species of birds with 16 of them listed as the endangered species. Animals like tiger, leopard, jungle cat, small Indian civet, ruddy mongoose, sloth bear, otter etc along with various species of insects are also found here. It covers an area of about 236.74 km2 and is governed by the Kerala Forest Department. This is yet another national park that lies in the beautiful state of Himachal Pradesh. It got established in the year 2010 and covers an area of 27.88 km2. The Shirui Kashong Peak that is situated near Ukhrul with a height of 2835 m gets abundant flowers in the month of May and June and attracts a lot of tourists and scientists. The main reason for the attraction is the Shirui Lily flower that in its full bloom in high numbers offers a great sight to behold. Tiger, leopard and the tragopan are the main animals that are found here along with rare species of birds like Mrs. Hume’s bar backed pheasant. It covers an area of 41.30km2. This national park is also a tiger reserve and is situated in the Mayurbhanj district of Odisha. It got its name from the Semul trees that are found here in abundance. Joranda and barehipani are 2 waterfalls that are found here. The flora of the park is made up of 1076 species of plants in the form of deciduous and tropical moist deciduous forests. Animals in here are tiger, leopard, wild elephant, wild boar, jungle cat, chausingha etc. with 231 species of birds. The park is also home to a high population of reptiles including turtles and snakes. It covers an area of about 2750 km2 and is governed by the Ministry of Environment and Forests under the Government of India. This national park is located in the Darjeeling district along the Singallia ridge and is famous for the trekking route to Sandakphu. It is made of Eastern Himalayan subalpine conifer forests, Eastern Himalayan broadleaf forests and Himalayan subtropical pine forests with trees like oak, bamboo, rhododendron and magnolia. Major animals being found here are red panda, barking deer, leopard cat, wild boar, pangolin etc with over 120 species of birds and many of endangered reptiles and amphibian species. It covers an area of 78.6 km2 and is managed under the joint governance of Government of West Bengal and Government of India. It is surrounded by other national parks like North Button and Middle Button at Andaman and Nicobar Islands. Climbing bamboo, rattan palm, canarium, Hope Odorota etc are the type of trees found here. Major animals in here are dugongs, sea turtles, blue whales, water lizards and dolphins. It is a rather small park with an area of only 5km2. It is a national park as well as a biosphere reserve and has waterfalls like Talakona, gunjana and gundalakona. It is made of dry deciduous mixed forests and moist deciduous forests with 1500 vascular plants belonging to 174 families. 178 species of birds and animals like leopard, wild dog, golden jackal, jungle cat, sloth bear, sambar etc makes up for the fauna of the park. 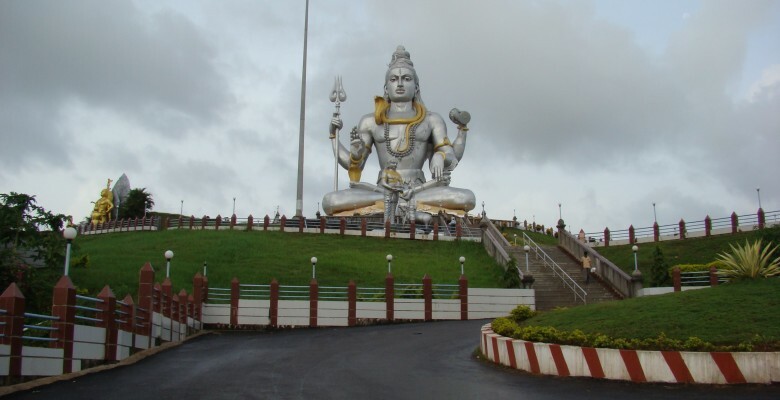 It covers an area of 353 km2 and is situated near the religious city of Tirupati. It was formerly known as the Sultanpur Bird Sanctuary and is located is Sultanpur that is situated 15 km from Gurgaon. Birds like commom hoopoe, purple sunbird, Indian cormorant, gray francolin, magpie robin, white throated kingfisher etc are the major birds that are found here. It covers an area of 1.43 km2 and runs under the governance of Haryana Forest Department. This is a national park, a tiger reserve and the biosphere reserve and is a part of the Sunderbans on the Ganges Delta. The nearest city to this national park is Kolkata. Sundari trees are found here in abundance and thus it got its name. Spikes on this tree make it remarkable as they help it in respiration especially in rainy seasons when most of the other trees are water logged. It is famous for its tigers as there are 400 tigers in it and that too Royal Bengal Tigers. Other animals include chital, flying fox, Indian grey mongoose, wild boar etc. Also it is home to numerous varieties of Avifauna and Aquafauna and reptiles. It covers an area of 1330.12 km2 and is governed by the Government of India. It is also known as Tadoba Andhari Tiger Reserve and is one the 43 “Project Tiger-Tiger Reserve of India. Nearest city to it is Chandrapur at 40 km distance and the flora of the park is mainly tropical deciduous dry forests and dense woodlands with trees like dhauda, salai, behead, karaya gum etc. Major animals in here are Bengal Tiger, Indian leopards, sloth bears, nilgai, striped hyena etc. with 74 species of butterflies and 195 species of birds. 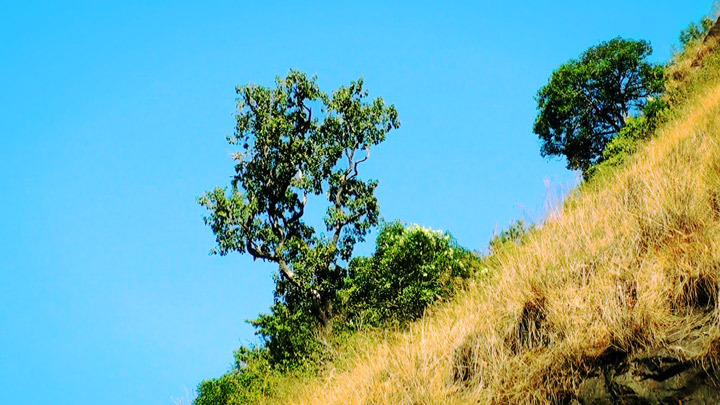 It covers an area of about 625.4 km2 and is governed by Maharashtra Forest Department. This national park is located in the western parts of Himalayas and flora of this park is important since it has several important medicinal plants including Aconitum heterophyllum, A. falconeri, Arnebia benthamii, Dactylorhiza hatagirea, Gymnadenia orchides, Megacarpaea polyandra etc. Fauna consists of 13 species of mammals and 114 species of birds. It covers an area of about 87.50 km2. 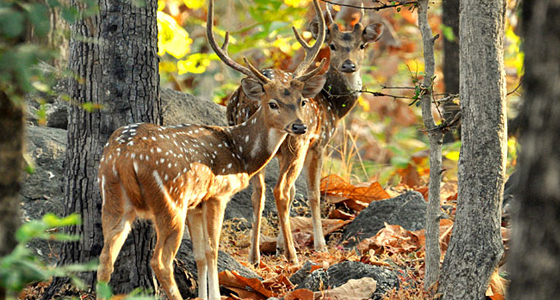 Valmiki National park and wildlife sanctuary is situated in the West Champaran district of Bihar. The name of the district is derived from the words Champa and Aranya and that just means that even the park is abundant with these trees. Tiger, rhinoceros, black buck, wild buffalo, leopard etc along with 241 species of birds and various reptiles find their home here. It covers an area of about 898.45 km2. This national park is located in the navsari district but named after its nearby district Vansda that is in the same state Gujurat. 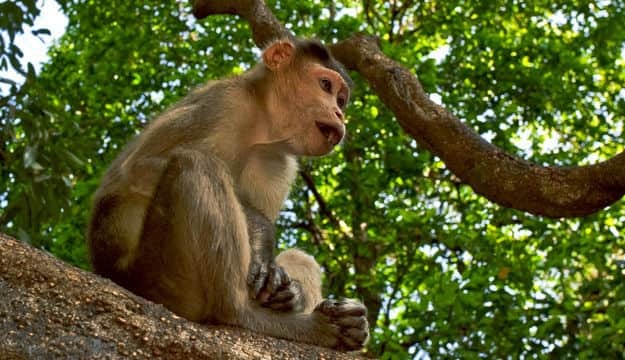 443 species of flowering plants with trees like teak, khakro, humb, bamboo etc are the main kinds of flora in the park and main animals like rhesus macaque, small Indian Civet, four horned antelope, Indian porcupine etc. It covers an area of 23.99 km2 and is administered by the Forest Department of Gujarat. Though it is a national park by status; it is still managed and developed in the form of a modern Zoological park. It’s easy accessibility through the roads make it a major tourist attraction and it attracts 250000 tourists per year on average. Tiger, lion, bear, hyena, snakes, gharial, pythons etc are the animals that are kept in captivity in the park. Mainly there are herbivores animals and the avifauna is also rich with about 200 species of birds. It covers an area of about 4.48 km2 a located at Bhopal, Madhya Pradesh is governed by the Madhya Pradesh Forest Department. So these were the National Parks in India and no doubt existence of these national parks in various states of India not only make us all connected to the Mother Nature but also these national parks are our way of returning to the wildlife and nature; what we owe to them. These must be increased in numbers as much as it can as this will surely be a great step for maintaining a balance of the man with the wild. Dominated by dry deciduous forests; the tiger reserve is also known to be having a large variety of biomes. Very nice one! Keep sharing this kind of more useful articles.Travels at very affordable crates. We provide special offers on every booking. Hurry up! Another place that you have to go to appreciate the marvels of nature is the super scenic Spiti Valley, perched high on the ethereal Himalayan Mountains.